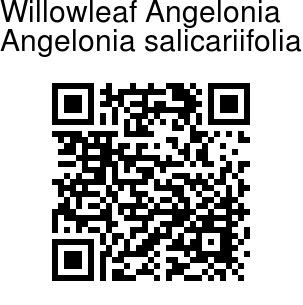 Willowleaf Angelonia is a perennial herb, covered with sticky hairs. The flowers of Willowleaf Angelonia	are double lipped and variegated. They look like snapdragons. They attract butterflies, bees and humming birds. The shiny and glossy leaves look like willow leaves. They are aromatic and have a mild apple fragrance, hence it is a good choice for the scented garden. 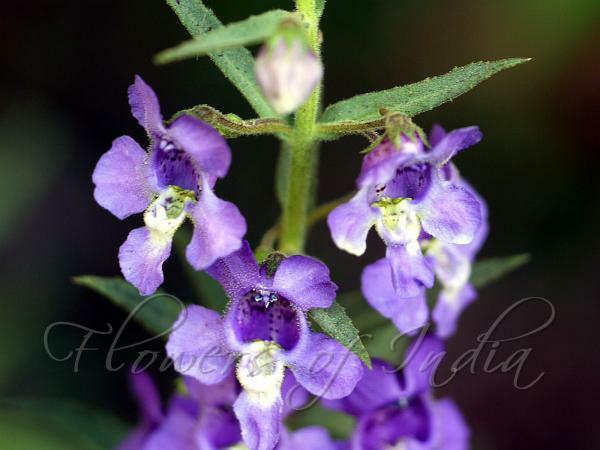 Willowleaf Angelonia is native to Tropical America, occasionally cultivated elsewhere, naturalized in India. Identification credit: Shrikant Ingalhalikar Photographed at Mavingundi, Karnataka.